My final project for draping class is a dress with a fitted bodice and gathered skirt. 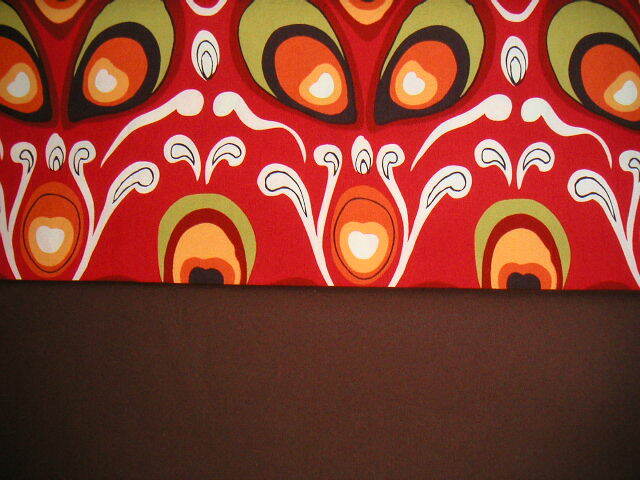 I'm using this great Alexander Henry fabric called Pavo with some brown Kona cotton. 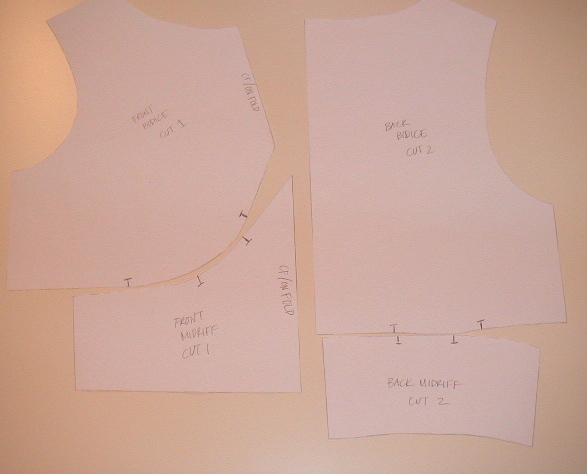 Here's the pattern for the bodice that I've drafted after draping it on the dress form. I'm using the patterned fabric for the majority of the dress with the brown cotton providing some contrast at the waist midriff.